In VS2015 Update 2 Microsoft have added an "In app menu" on XAML windows as you're running in Debug. 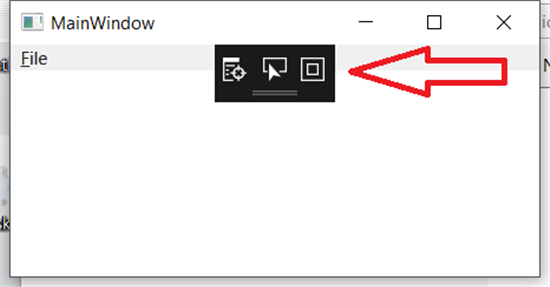 The first time you hit f5 and run a XAML app after you apply update 2, you might well get a bit of a surprise. Right there on your window is a black thing. Definitely a "What the .....?" moment for many developers. Whilst the functionality offered is occasionally pretty useful, it seems most Developers don't really want to see this menu there permanently. It's easily hidden - this is a one time fix. 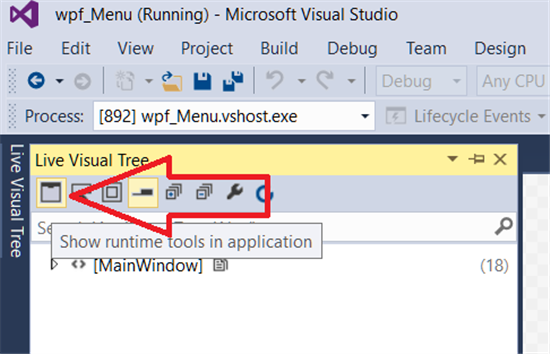 This article is part of the WPF Tips Series, if WPF is your area of interest then you will probably find other useful articles there.